EHRA’s Secretariat is designed to address coordinated implementation of projects and programs and to accumulate experts’ knowledge for the purpose of EHRA’s activities. Its current structure allows effectively implement Strategic Framework 2018-2019 and perform large-scale projects activities, as well as to sub-grant regional, national and local civil society and community based organizations. The Secretariat is staffed by employees and permanent advisors considered as a staff and operates in fully equipped office, based in Vilnius, Lithuania. 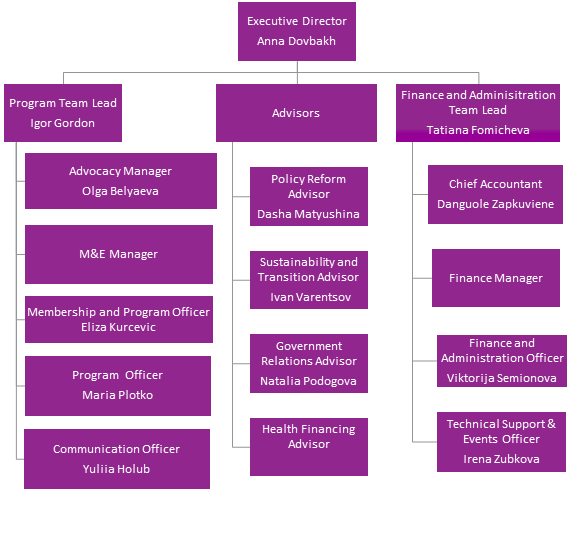 The Secretariat works under supervision of Executive Director and its organizational structure consists of 3 teams with clearly defined functions. Teams are working in constant mutual collaboration creating cross units to allow for the most efficient and effective way of projects implementation. insuring safety of operational documents. Ganna is originally from Ukraine and is known regional as a community mobilization trainer and expert. She also has extensive knowledge of health and social programs, in organizing capacity building systems, in social research, as well as in leadership support to civil society organizations and activists. In recent years, Ganna has worked intensively in advocating for sustainable funding of quality harm reduction services in the Central and Eastern Europe and Central Asia (CEECA) region. She holds a Master of Arts (MA) in Social Psychology as well as a MA in Culture Studies and has authored numerous publications concerning community system support. Tatiana is responsible for the planning and execution of project budgets, cooperation with donors – including financial auditing – as well as support to project and program administrative. Tatiana has a background in economics and more than 10 years’ experience working in public organizations and grant management of projects in the public health sector. Danguole is responsible for the control of financial resources, including the preparation and provision of financial statements for the organization as well as statistical and financial reporting using the policies and procedures established by the Association. Danguole is also responsible for the timely and accurate execution and submission of reports to the state institutions of the Republic of Lithuania. She has an accounting background and has been working in the sector since 1993. Danguole converses in Russian, English and Lithuanian. Irena is responsible for coordinating and organizing EHRA meetings, conferences, business trips and other events. Irena also administers the EHRA website. With administration experience, Irena covers program implementation activities related to the technical support of specific project objectives such as publications, small grants, preparation of agreements, and communication with partners. 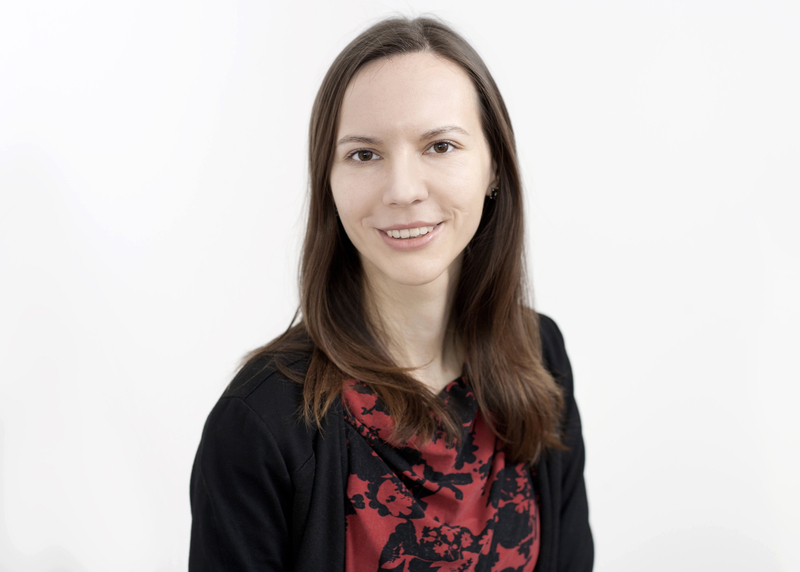 Viktorija is responsible for the provision and organization of administrative assistance in the implementation of projects as well as for financial activities and the day-to-day work of the office, ensuring the orderly functioning of the Association. 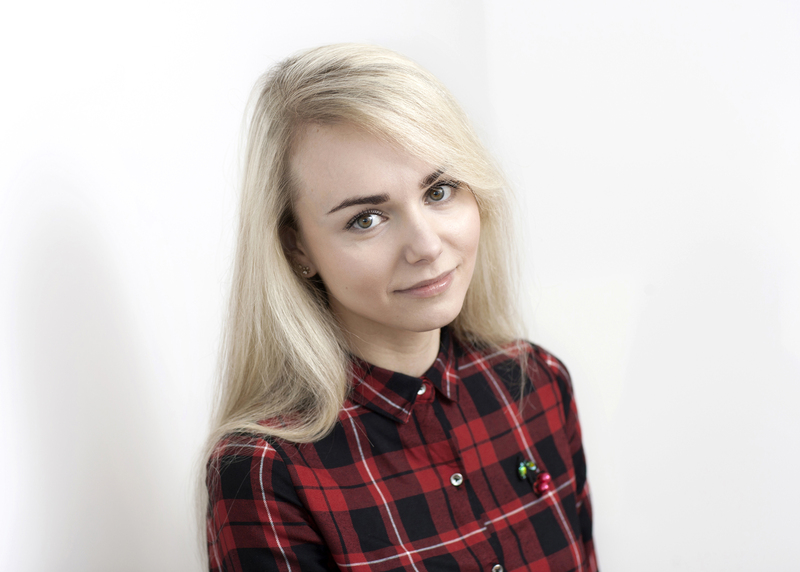 Viktorija has many years of professional management experience and has an accounting background; she is also fluent in Russian, English and Lithuanian. 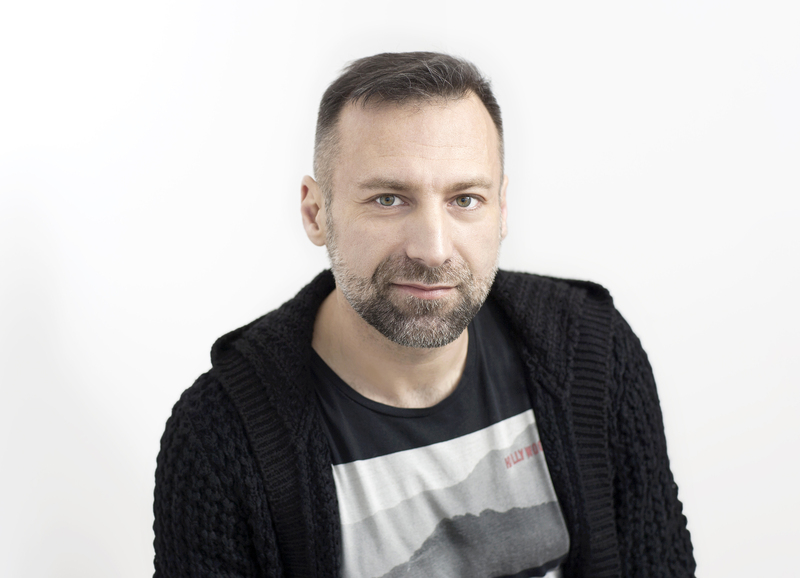 Igor has over 14 years of experience in managing PLHIV, HIV services and harm reduction organizations at the national and international level. Key focus areas of Igor’s expertise include key populations, civil society and community engagement, as well as capacity building, and organizational and project management. Igor is responsible for the development and effective implementation of programs according to the strategic objectives of EHRA. He also plays an active role in the mobilization of harm reduction advocates, together with communities of people who use drugs, to ensure the sustainability and efficiency of harm reduction services and to advocate for non-punitive drug policies in the CEECA region based on public health approaches and the protection of human rights. Igor has a Bachelor of Science (BSc) degree in Social Work and a Master of Science (MSc) degree in Business Management. Olga is an expert in community mobilization and advocacy in the CEECA and works as the Advocacy Manager of EHRA. She holds a Master of Medical Psychology and in 2001 organized an underground needle exchange center in Dnepr, Ukraine. 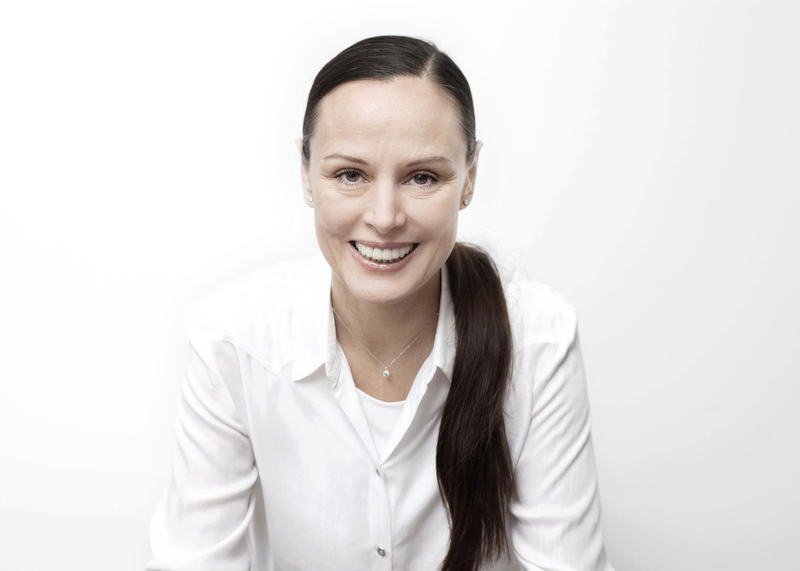 For the past 10 years, Olga has been engaged in research into the needs of subgroups of communities of people who use drugs with the subsequent introduction of services to reduce harm from inadequate information on psychoactive substances, and the effects of repressive drug policy, as well as the possible negative consequences of substance abuse. In 2010, she was one of the founders of the first Association of Substitution Treatment Advocates (ASTAU) in the CEECA region. Currently, Olga is engaged in issues of drug policy in strengthening the capacity of civil society to influence political decisions at the national, regional and international levels. 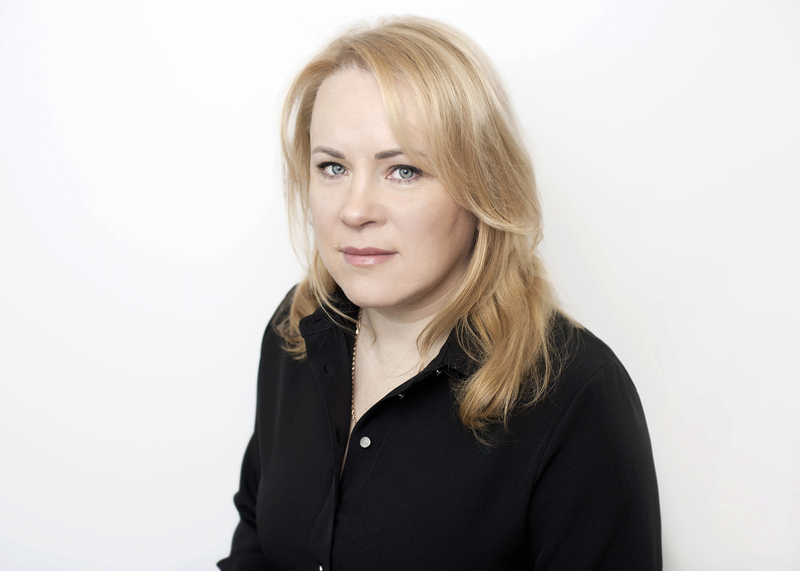 In 2017, Olga was elected to the Board of Directors of Harm Reduction International. Eliza is responsible for membership-related organizational procedures and the engagement of members in the Association’s programmatic activities as well for the implementation of Association projects. 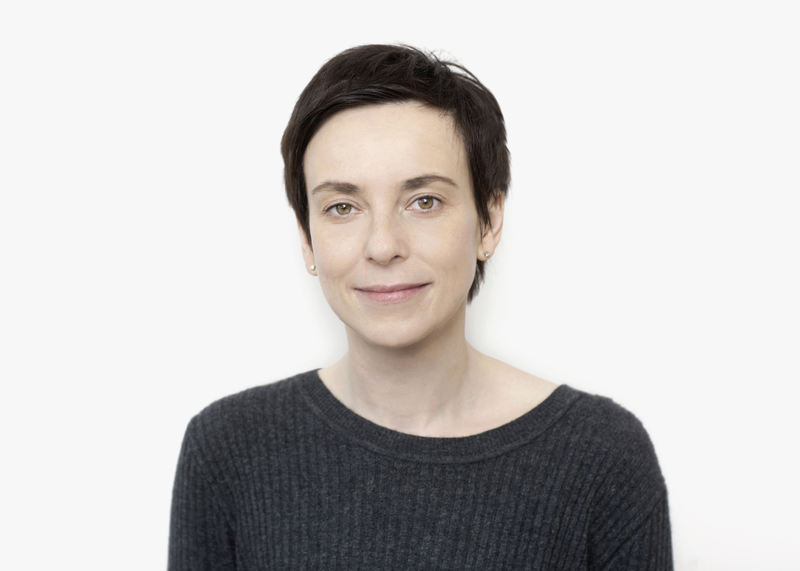 Eliza has experience in human rights, legal consultations in the field of harm reduction and drug policy, as well as in working with young people. She holds Master’s Degree in International Law and is fluent in Russian, English, Lithuanian and Polish. 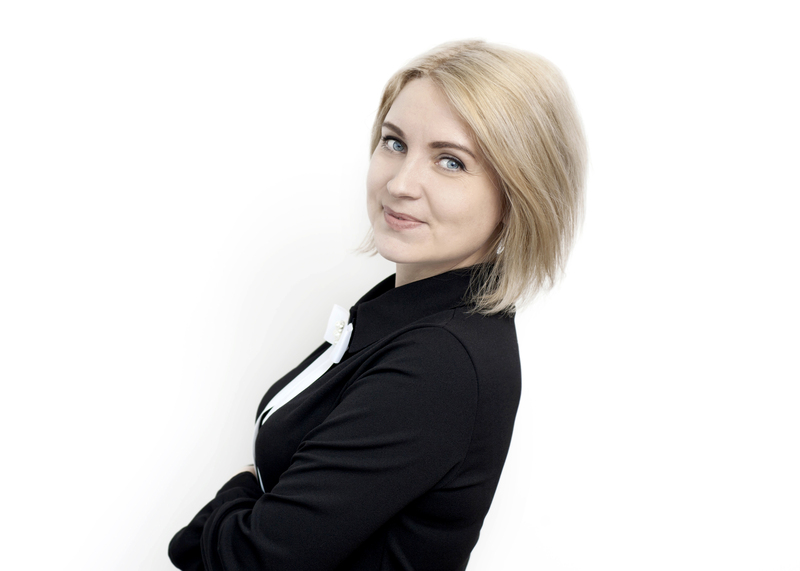 Yuliia has over 10 years of professional experience in the field of public relations and communication. She is fluent in Russian, English, Ukrainian and Polish and has a Master’s Degree in International Information. 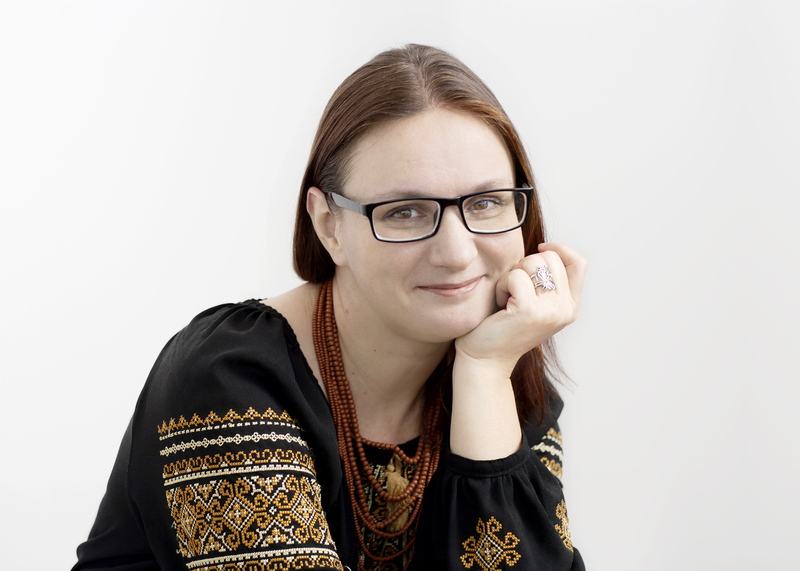 In EHRA, Yuliia is responsible for social media, web-site content, public relations materials and external communication. Maria is a sociologist by training and is the program specialist in drug policy and human rights for EHRA. She has 7 years’ experience working with non-governmental organizations (NGO’s), both in think-tanks and in organizations engaged in the education of, and in providing assistance to, representatives of socially unprotected groups. In her work, Maria combines her practical experience with current scientific approaches. Natalia is responsible for the Association’s communications with officials and governments of CEECA countries. 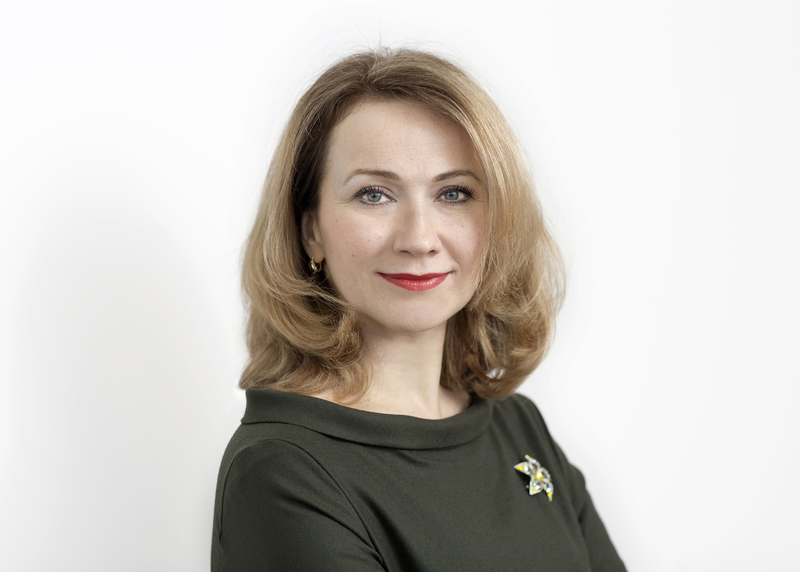 Natalia is experienced in project and organizational management in the non-governmental and commercial sectors and was educated in Pedagogy and has a Master of Business Administration (MBA) in general management; she is fluent in Russian and English. Ivan has over 10 years professional experience in the field of public health, specializing in HIV prevention and human rights issues. 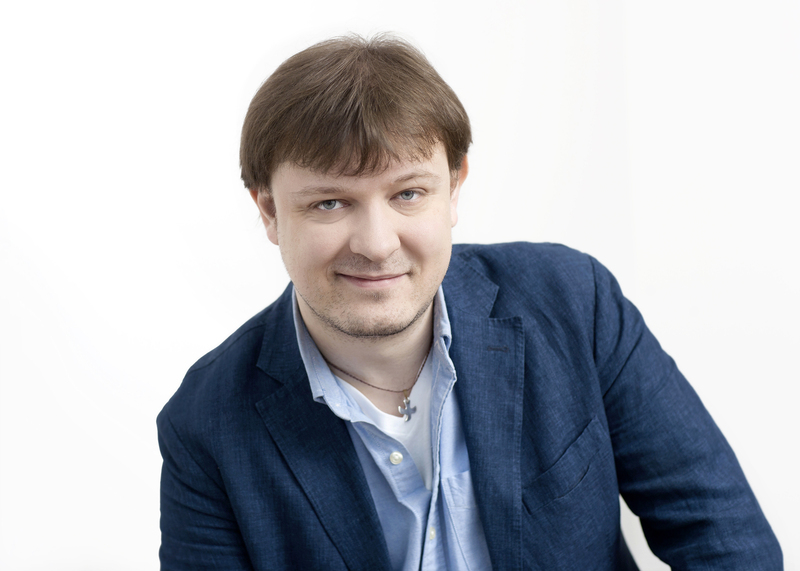 In 2007, Ivan began working at the Russian Healthcare Foundation as one of the coordinators of the Global Fund Round 4 HIV projects in the Russian Federation, and, since then, he has worked on Global Fund-related processes in countries of the CEECA. In 2010, Ivan graduated from the London School of Hygiene and Tropical Medicine (LSHTM) with a Master’s Degree in Public Health. 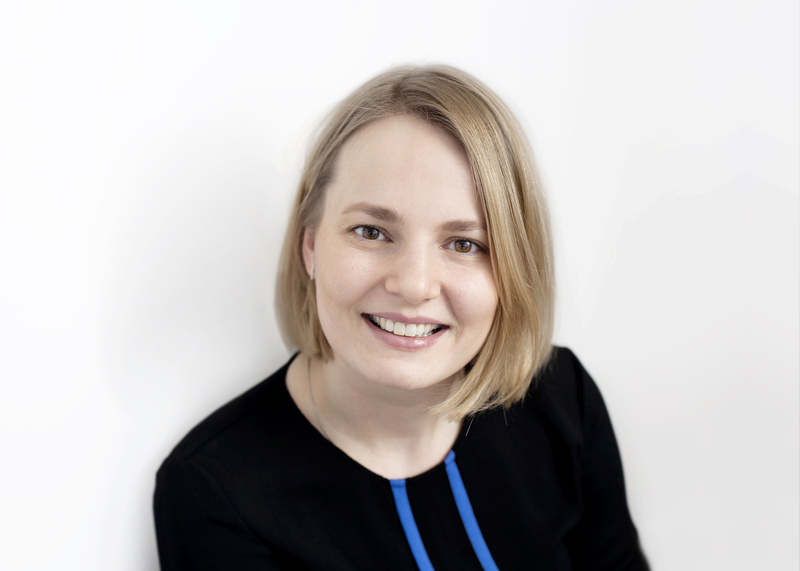 Dasha has a Master of Public Health (MPH) specializing in Health Systems Management from the Medical School of the University of Liverpool in the UK. Dasha started working in the field of harm reduction and HIV prevention in 1998 with Médecins Sans Frontières (MSF) Holland in Moscow, Russia. Her field of expertise includes HIV and drug policy advocacy and health systems decision-making, as well as management of community-based programs, and community systems strengthening in the CEECA region. Between 2010 and 2017, Dasha worked as Deputy Director for Advocacy and Communications, and as a Policy Reform Advisor, at the Eurasian Harm Reduction Network (EHRN). 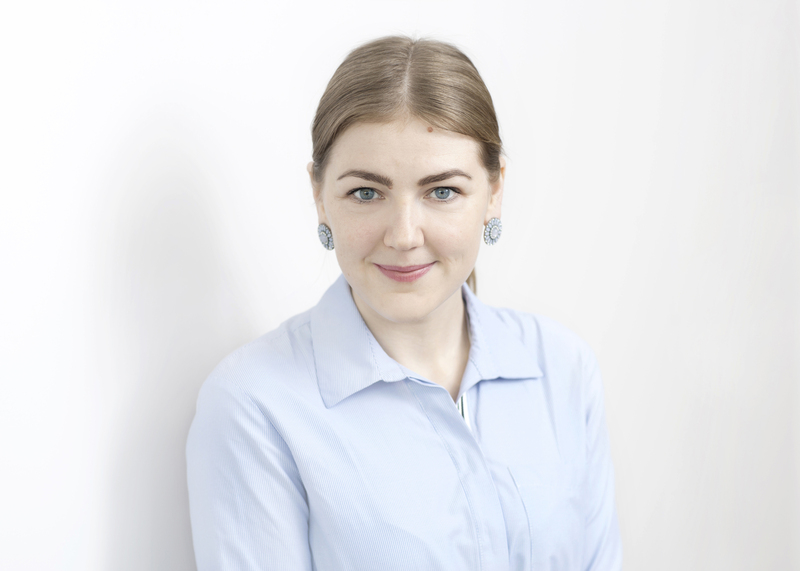 Since 2017, Dasha has worked as the Policy Reform Advisor with EHRA.